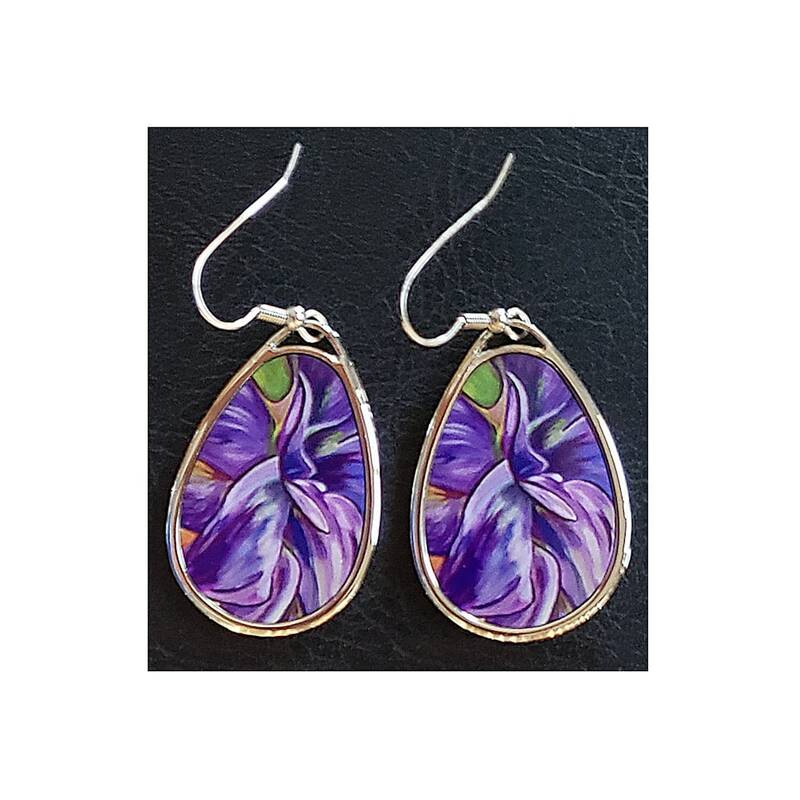 Unique jewelry created with Mare's Art artwork: Dear Dahlia printed right on the earrings, perfect for you or as an artsy gift! These delightful earring designs freshen up your look with color and sass. You've chosen to wear your Mare's Art on your ears, how thoughtful! Playful & stylish earrings are just about 1.5" long and feature Mare’s Art - Dear Dahlia, the artwork of Mary Anne Hjelmfelt.